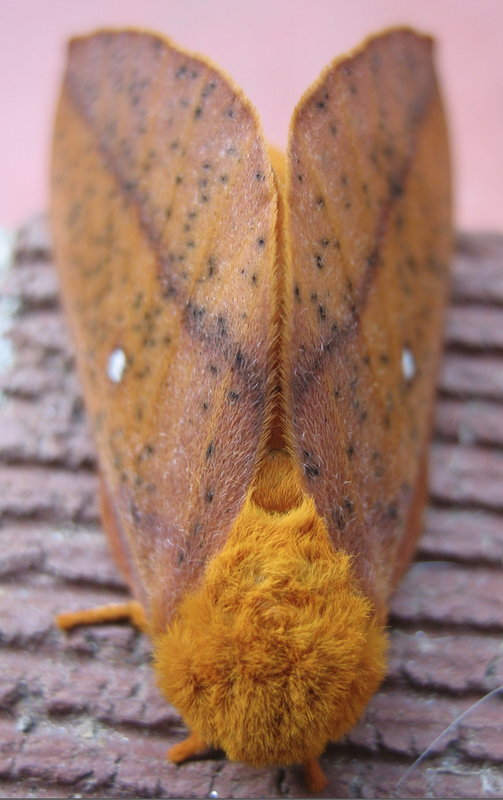 ... to the pink-striped oakworm moth. It's a boy! Females have purplish coloration along the wing edges. 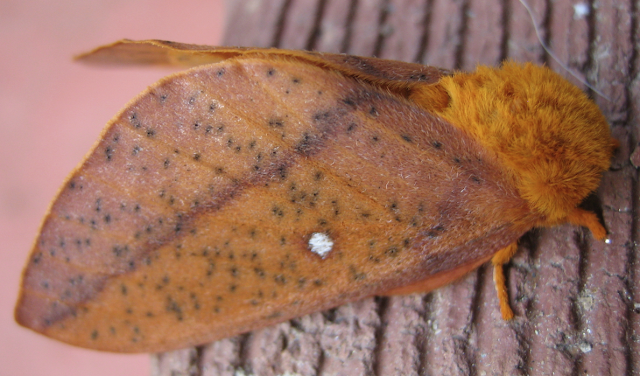 Found along the east coast and south all the way to east Texas, this moth lays eggs on oak trees. 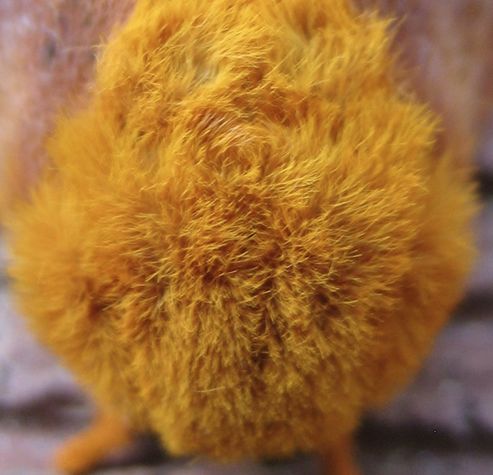 The namesake caterpillars are spikey and have deep pink stripes running along their bodies. The caterpillars hatch and feed on their first year, pupate underground, and emerge on their second year to mate. 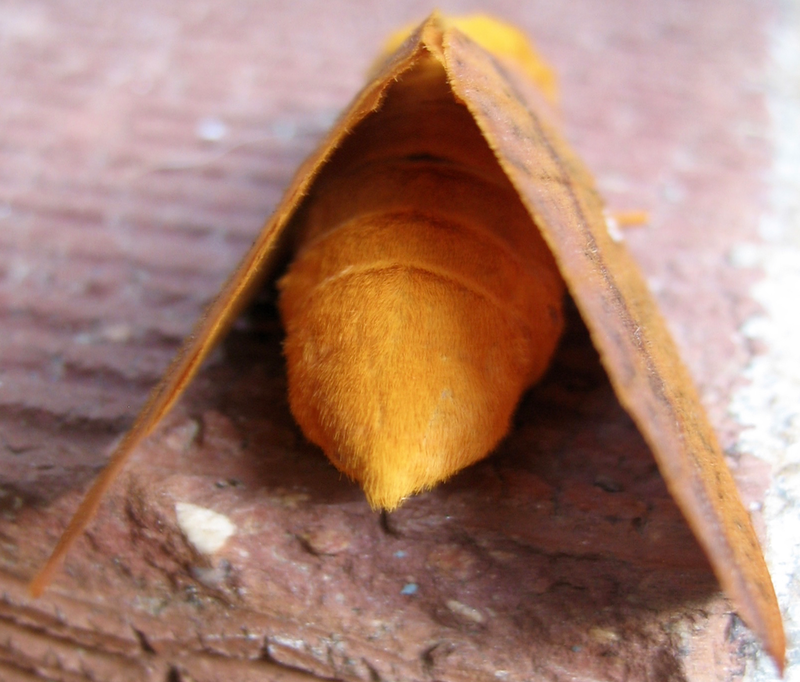 See https://www.butterfliesandmoths.org/species/Anisota-virginiensis for more photos and information.